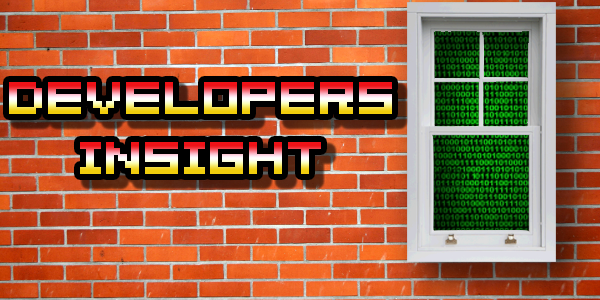 Welcome back to the next instalment of Developers Insight, in this article we feature Andrei Marks from Cipher Prime, the developers behind PC indie game, Splice. Andrei and I talk about the industry, how he entered it and how you can to! A) First, I’m going to say that all the answers I’m going to give are for people considering doing indie development. It’s a different experience than being on track for normal industry jobs, which are a lot more specialized. There’s probably a lot of over lap though. The main piece of advice is to start making stuff. Build up your portfolio, even if it’s just with dinky little games that you finish for no one but yourself. It’s important to show that you can not just come up with ideas, but execute and finish them. Often this means stepping out of your comfort zone (e.g. learning to program if you mainly do art, learning to do some art/music if you mainly program) or learning to work with others who have skills that supplement your own. A) It’s a tie between knowing how to learn new things and knowing how to program. As an indie you’ll do lots of different things to bring a game to fruition (design, audio, art, programming, game design, marketing) and you need to learn many of these skills on your own. Programming is probably just as important. This is the twenty-first century, learn how to use a computer for real. Q) How did you come up with the basic idea for Splice? A) Dain Saint came up with the idea during IndieCade 2011. He came down with a pretty bad bug and then in a fever dream came up with an idea for a binary tree puzzle. Then we all skinned it, tweaked it, polished it, and released it. Q) What engine did you use for Splice? A) 1. Knowing how to program. 2. Having a good grasp of how graphic design and its tools work, in order to make the asset pipeline (which for Splice was mainly 2D) from Illustrator/Photoshop to Unity work the way we wanted and get the results we were happy with. A) None that really bothered us for what we were doing. Maybe some texturing/rendering issues that arose out of how Unity works. Q) How did you combat those limitations? A) We sucked it up and worked around them. Q) How long did it take you to make Splice? A) It was released about six months after conception, with maybe four months of dev time and two months of sitting on our hands. A) No idea. I’m not qualified to make predictions about the industry because I don’t really follow what’s going on and/or care. We live in a bubble where we make games the way we want, and enough people buy them that we can make more.